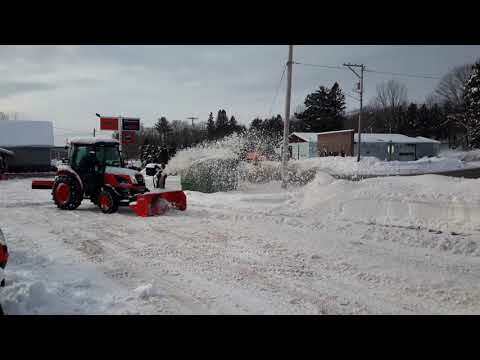 This here tractor in a Kioti NX6010 with a 72" front mount snow blower, the snow blower is powered by the mid pto, this tractor also has a loader with it. CRDI Diesel Engine with Daedong ECO Technology: The new Common Rail Diesel Engine (CRDI) improves fuel efficiency over 20% while reducing noise levels. With this eco-friendly Tier 4 engine, the NX series offers the operator a quiet work environment with powerful performance. 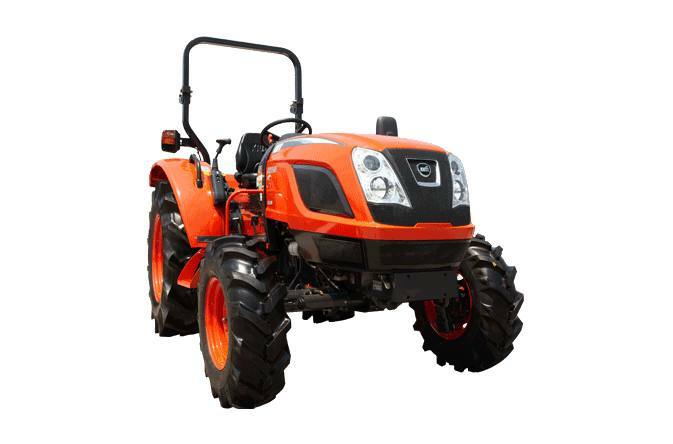 True Speed Cruise Control: Electronic HST control system enables the tractor to maintain a set speed no matter what the condition of the ground or load is. This is a very useful feature for work requiring a set speed for precise coverage or application. Powerful HST Transmission: HST models feature performance-proven, heavy duty HST drives that deliver power and efficiently. The three range transmission (Hi/Mid/Low) with twin pedal operation makes your job easier, smoother and safer.